Mehndi Madness Fashion Show: Jagua Tattoos are the Perfect Accessories! Recently we had the opportunity to participate in a fashion show by providing Jagua tattoos as an accessory at the Ana Cortes Arts Festival. 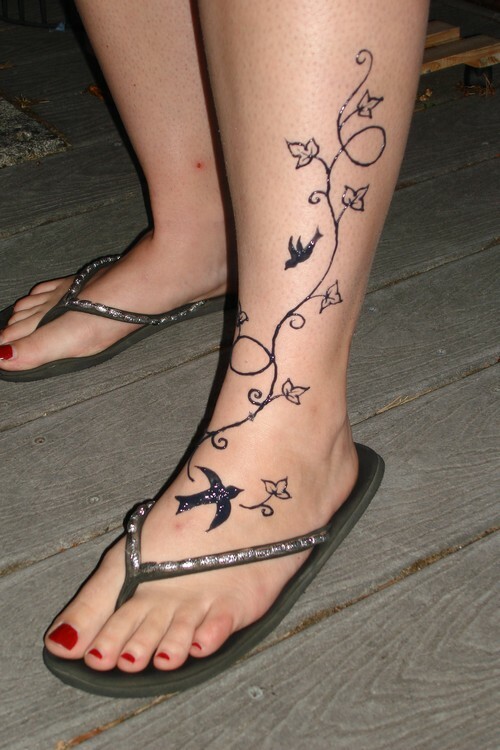 When the call went out for wearable clothing and accessories, I thought why not Jagua tattoos. It's perfect for creating an over all look or suggesting a theme. The possibilities are endless. 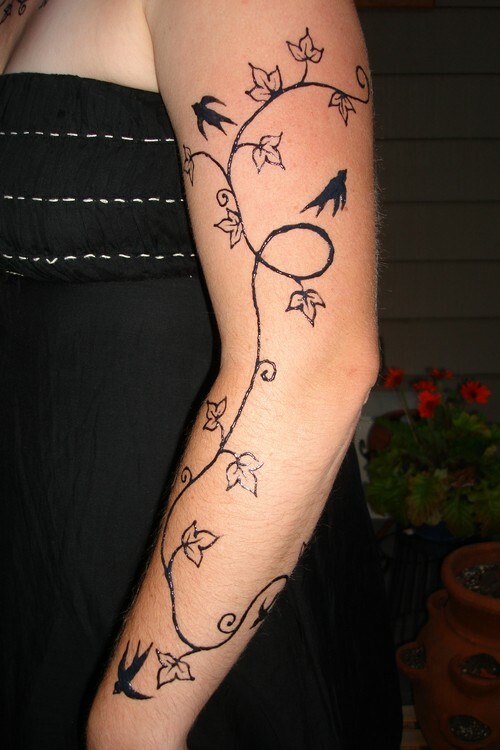 Put a Sailor Jerry old school anchor tattoo with your biker jacket, a flower power, hippy style peace sign with your daisy dukes or a Native American dream catcher with your sun dress. You'll be ready for the red carpet of any runway! 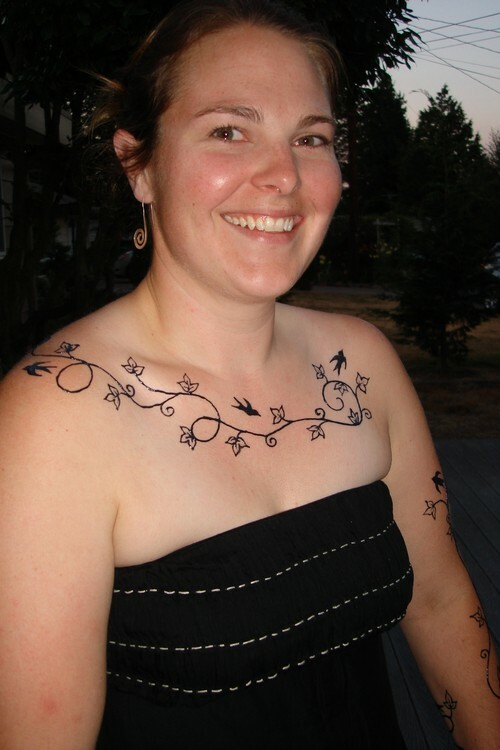 Mehndi Madness henna artist, Michelle Pedersen, volunteered to be our beautiful model. 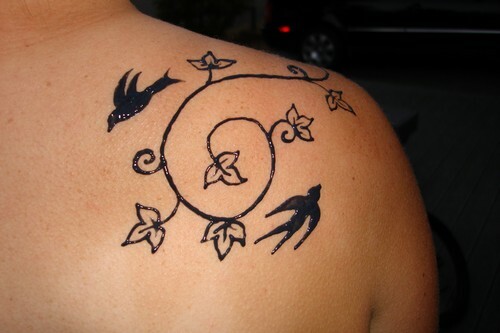 She wore a strapless black, night-out-on-the-town dress with a simple vine and bird motive in Jagua. 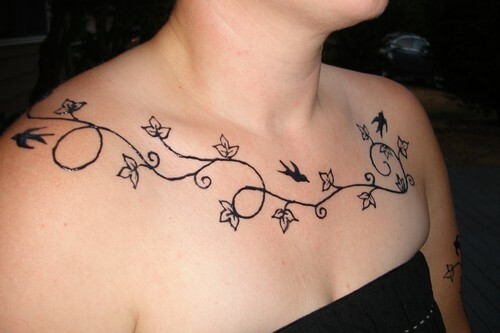 The Jagua stains a black color and therefore looks more like a permanent tattoo. Since we wanted to cover a large section of the body, we chose a simple, bolder design and an elegant dress with simple lines. 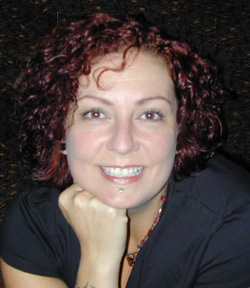 Doesn't she look great?